Following the Byrds-indebted bliss of Primal Scream’s debut, Sonic Flower Groove, bandleader Bobby Gillespie reassembled a lineup and literally grew his hair long to prepare for the uninhibited riffs and leather-laden swagger of the group’s eponymous sophomore album in 1989. Fans were surprised—just like when Gillespie’s old group The Jesus & Mary Chain swapped noisy gauze for high-production sheen—but time has shown thrilling reinvention to be Gillespie’s greatest asset. The shift is told by the cover art: instead of Sonic Flower Groove’s nod to 1960s collegiate artist chic, Primal Scream’s cover depicts little more than wild manes in motion—the visual analog to both the blues-spew thump of “Ivy Ivy Ivy” and the incredible, Beggars Banquet-era Rolling Stones homage, “I’m Losing More Than I’ll Ever Have” (which made history again as the basis for Primal Scream’s crossover hit, “Loaded”). But Primal Scream also slays with softness: “You’re Just Dead Skin to Me” features emotive keys from Felt’s Martin Duffy, and “You’re Just Too Dark to Care” movingly evokes Alex Chilton’s hushed despair on Big Star’s 3rd. 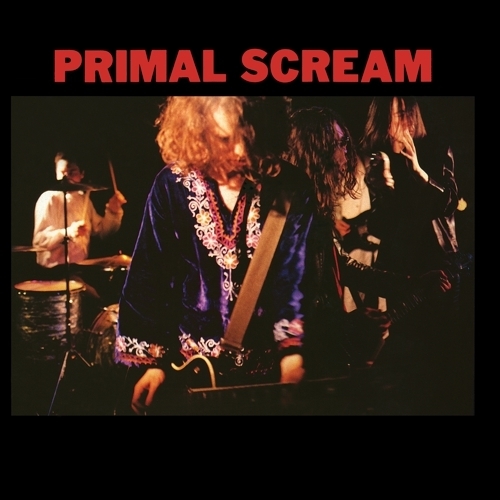 Soon after, Screamadelica christened the band with a new identity, but Primal Scream established a mode to which Gillespie would return on 1994’s excellent Give Out But Don’t Give Up.